MACON, Georgia, (October 31, 2015) Semifinal Saturday at the Tennis Classic of Macon. The two best players all week in Macon find themselves in the singles championship match on Sunday. 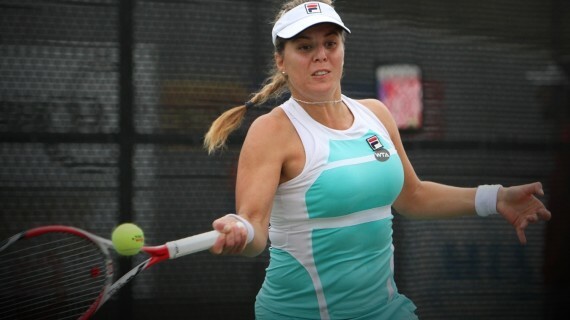 Anna Tatishvili arrived in Macon this week looking for her second Tennis Classic of Macon singles championship. Things are looking good as the American has not dropped a set in reaching the finals. Saturday, she disposed of a fellow American in Julia Boserup. Tatishvili found herself down 1-3 in the first set, but she said it wasn’t a slow start. “I don’t think I really started show since Julia started by hitting so hard,” explained Tatishvili. “She played really clean the first couple games and she was hitting so (hard). The 23-year old from Tbilisi, Georgia rebounded by winning 11 of the next 13 games as Boserup struggles from the backcourt. 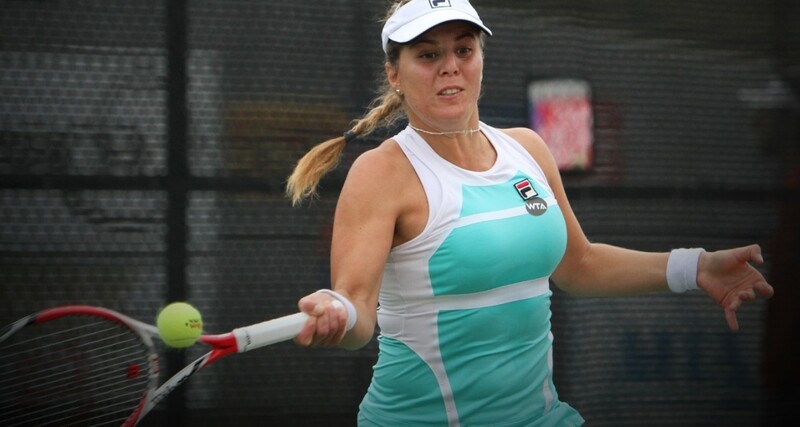 Tatishvili’s opponent on Sunday will be the tournament No. 5 seed Rebecca Peterson from Sweden. The 20-year old from Stockholm ousted Lesley Kerkhove from The Netherlands 6-2 6-3. Kerkhove had upset seeded players in the previous two rounds after dropping the first set, and Peterson was aware of that fact. Peterson’s deep groundstrokes proved to be too much for Kerkhove, who appeared fatigued from playing three matches on Friday. Peterson said the key for her was staying aggressive. The Swede took advantage of Kerkhove’s five double faults and 61% first serve percentage to break serve five times. Peterson and Tatishvili have never played before, but they did warm up together on Saturday morning. “My coach knows a little about her, so I’ll talk to him and see what he says. It should be a great match. The doubles draw was completed on Saturday as both the semifinals and finals were played. In a close final, Jan Abaza and Viktorija Golubic defeated Paula Cristina Goncalves and Sanaz Marand 7-6(3) 7-5. The match was a see-saw affair with neither team having more than a two game advantage. The Abaza/Golubic team broke six times in the match, while Goncalves/Marand broke five times in total.